Among the federal workers in Minnesota working without pay due to the partial government shutdown are Transportation Security Administration staff at the Minneapolis-St. Paul International Airport. So the airport and the airlines that serve MSP did them a solid this week: They brought lunch. Airport spokesperson Pat Hogan said that the airlines paid for the meals and airport conference center staff packed nearly 500 breakfast and lunch box meals Monday. Those meals went to federal workers at screening checkpoints where more than 30,000 people a day pass through at the two terminals. The federal government has a huge role in aviation, Hogan said, from screeners to air traffic controllers to customs agents. "It's a small token, but it's a way to acknowledge the work that all that those people do, and to thank them for their dedication and thank them for the fact that all our screening checkpoints are still running smoothly. The planes are taking off and landing safely," Hogan said. 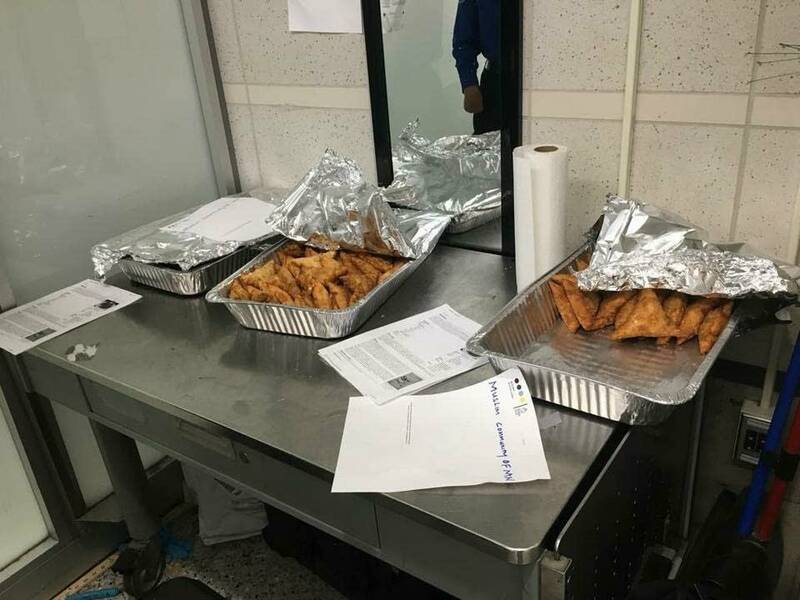 A community service organization, Building Blocks of Islam, also extended its hospitality at the airport by donating 400 sambusas Tuesday. The pans of the savory pastry arrived with a note from the "Muslim Community of MN." Social media posts show them on tables at the airport. • Listen: Local TSA union rep details the shutdown's effects in Minn.
Imam Asad Zaman, executive director of the Muslim American Society of Minnesota, said his organization is helping raise money for the effort and hopes to repeat the gesture next week. "We think the Muslim community will donate generously for it," Zaman said. "For some of these people, they cannot collect unemployment, they cannot get paid. They cannot stop working. They cannot take another job. For some of them, it's a very bad situation. So the least we can do is buy them lunch."